You most likely began your holiday marketing campaigns a couple months ago. But if you execute these four strategies, your marketing over the next month will be much more powerful. Research by ExactTarget found that 58% of online consumers start their day by checking their email. And between Q4 2014 and Q5 2015, holiday email volume increased by 23%. This means email is a great opportunity to get in front of shoppers. But the challenge is that the space is very crowded. And if you want to stand out, you’ve got to be clever and innovative. You have to give shoppers an email experience they won’t get anywhere else. When you send a truly stellar email, it makes consumers think, “If they care this much about the quality of their marketing, imagine how much they care about the quality of their actual products.” On the flipside, if you don’t put a lot of effort into your marketing, it can seem lazy and damage the perception of your brand. Clicking on the book then redirects the shopper to the book’s product page where they can learn more about the item. Full disclosure: This is one of my favorite marketing emails ever. Not only because it has penguins (who doesn’t love penguins?) but because it’s also just so darn well executed. The content is fun, clever, and 100% on brand. And the transition from email to website is totally seamless. Interactive emails like this one from Penguin Random House are a breath of fresh air in a world of flat, static emails. It’s unlikely your customers’ shopping behaviors or industry trends will stay exactly the same year-over-year. But that doesn’t mean last year’s data can’t offer you some insight into how to plan this year’s marketing campaigns. Hopefully you established benchmarks and set goals before the previous holiday season. Compare your predicted performance to your actual performance and use the data to guide this year’s marketing strategy. Find articles discussing the previous year’s holiday predictions. Then take a look at the subsequent holiday round-up articles. Which sources were spot-on and which fell short? Consult the sites who predicted correctly for their insight on this year’s holidays. Not-So-Fun-Fact: 92% of shoppers won’t make a purchase during their first visit to an ecommerce site. And in 2016, 77% of all shoppers abandoned their carts. 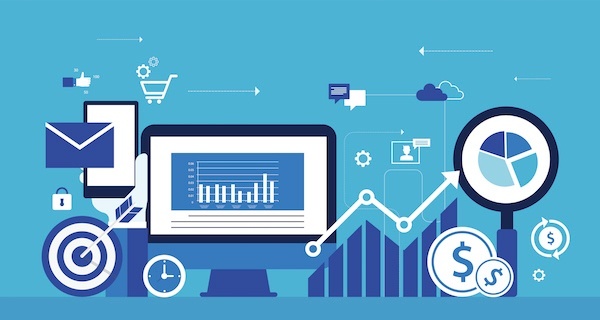 To bring shoppers back to your site and encourage them to complete their purchase, launch remarketing campaigns on the Google Display Network (GDN). Segment your audience lists by behavior and/or demographics so you can serve the most relevant ads. Don’t make your remarketing lists too specific, however. Google has an audience size threshold and won’t serve your ads if an audience has too few members. When you first start building remarketing lists, you may not have enough data to segment to a considerable degree. In this case, promote a generic offer such as free shipping or an order discount. Once you’ve collected more information and segmented your audiences accordingly, customize your deals to better match shopper interests. For example, if you have a remarketing list of shoppers who browsed party dresses, serve them an ad for 20% off one of your more popular party dresses. To take your holiday marketing strategy a bit further, you can use dynamic remarketing. Dynamic remarketing allows you to serve ads with the specific items each individual shopper viewed. This is especially effective for cart abandoners. 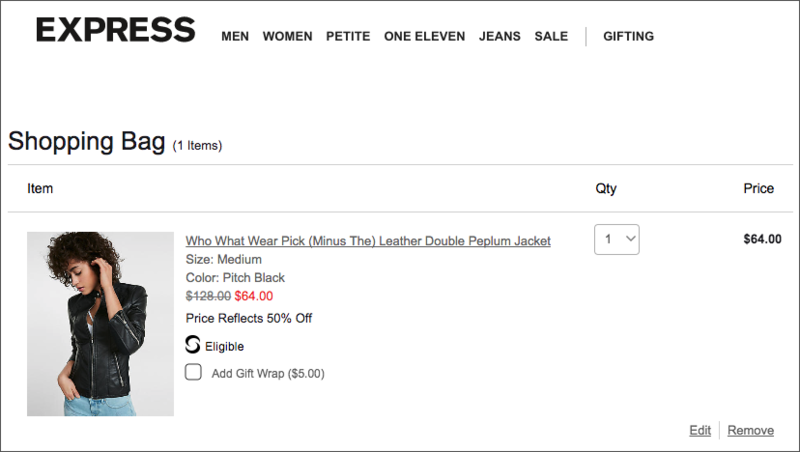 The remarketing ad features the exact jacket the shopper added to her cart as well as an image of the jacket in a different color. It also has a reminder of the sale Express is currently running. Pro-Tip: Make sure you set an impression cap on your ads so shoppers don’t get annoyed by seeing your ads over and over. Humans are visual creatures — a scientifically proven fact you really need to take advantage of. In other words, your holiday marketing must include video. It doesn’t even have to be a professionally-produced, knock-your-socks-off, Lord of the Rings-level epic video. It just needs to be useful to shoppers. Between watching a product video and reading a product description, four times as many consumers would rather watch a video. Shoppers who watch a video are nearly twice as likely to make a purchase as shoppers who don’t. Retailers report video has lead to a 40% increase in revenue. Pretty much every ecommerce merchant can (and should) use video. Electronics store? Post an explainer video showing how to use the more advanced features of your products. Sell camping equipment? Ask real-life customers to tell stories about the adventures they’ve had using your store’s gear. Clothing retailer? Give shoppers tips on how to accessorize some of your more popular items. Videos prove to shoppers you’re willing to put effort into the customer experience. It certainly doesn’t take zero time or energy to create other types of marketing content, but shoppers tend to appreciate videos the most. Plus, videos have the added bonus of being entertaining and engaging without words. 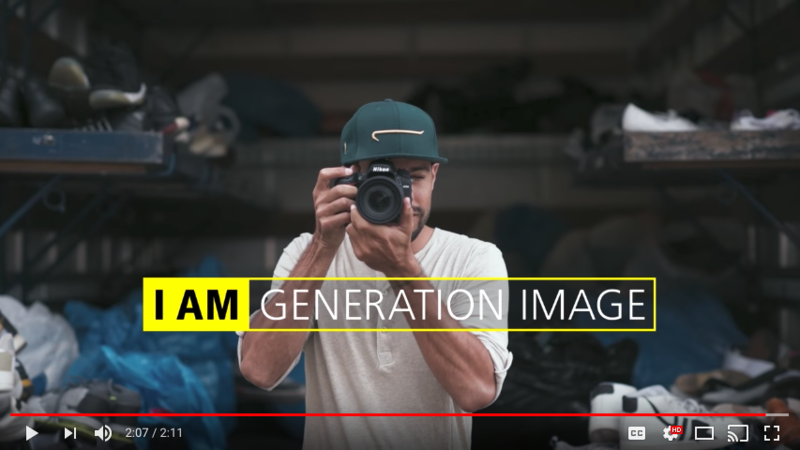 In 2014, Nikon launched its I AM Generation Image campaign. The campaign was a video series featuring real people sharing their stories via images they captured on Nikon equipment. Because the campaign was composed entirely of user-generated content, it made the marketing feel more personal and human. Plus, Nikon received high quality video content for a lower investment than if they’d created it from scratch.